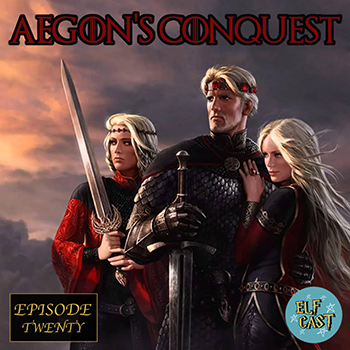 FINALLY Jes and Pascalle discuss A Song of Ice and Fire (Game of Thrones for show-watchers). In honor of GRRM’s recent release, Fire and Blood, we delve into the Targaryen family history. Who are these dragonlords and where did they come from? Why do they all look the same? What are their dragon’s names? Why are they so cool and hot? Find out this week on ELFCAST.